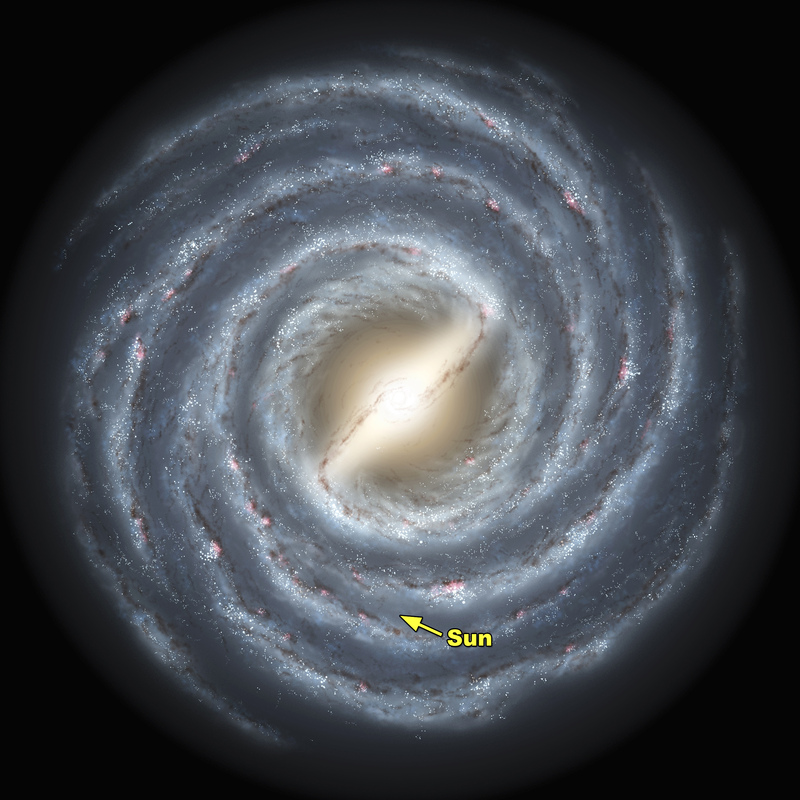 Caption: The Milky Way, it turns out, is no ordinary spiral galaxy. 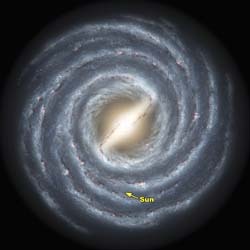 According to a massive new survey of stars at the heart of the galaxy by Wisconsin astronomers, including professor of astonomy Edward Churchwell and professor of physics Robert Benjamin, the Milky Way has a definitive bar feature -- some 27,000 light years in length -- that distinguishes it from pedestrian spiral galaxies, as shown in this artist's rendering. The survey, conducted using NASA's Spitzer Space Telescope, sampled light from an estimated 30 million stars in the plane of the galaxy in an effort to build a detailed portrait of the inner regions of the Milky Way.